I am a great lover of having the perfect eyelashes. Lets face it even without makeup if your lashes are looking on point you can still look fabulous. 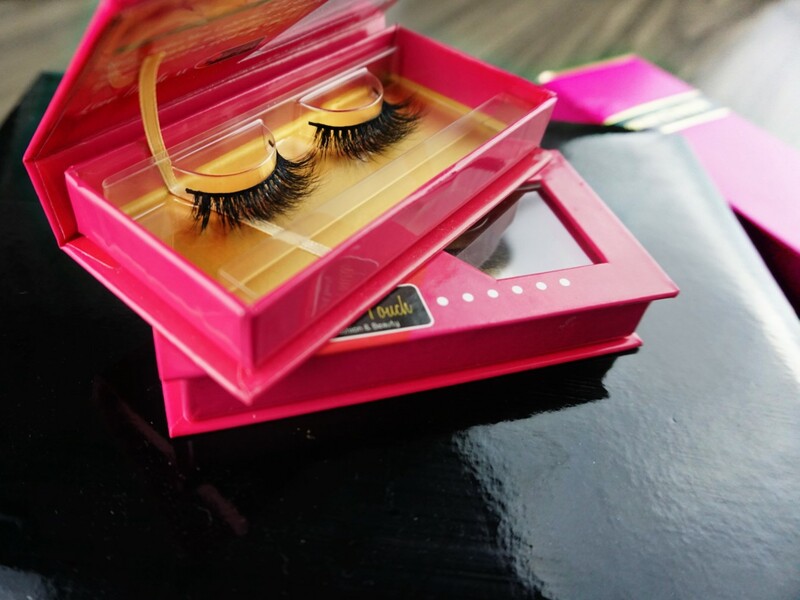 Mink lashes in particular are very sought after since they appear wispy, are lightweight on your natural lashes and with or without makeup look so real when put on, versus normal fake eyelashes. The price range depends on the type of lash you select. It's no surprise that lashes do improve your overall look and through the years we have come a long way from those who looked fake from a mile off, they now go as far as looking natural. I can't stress how important it is that eyelashes are lightweight if you wear them on a regular basis. You don't want to be straining your eyelid and your natural lashes with their weight as over time it will affect your lashes. I personally cannot bear lashes that are heavy on the eyes, I just feel like stripping them off within 5 minutes of usage. 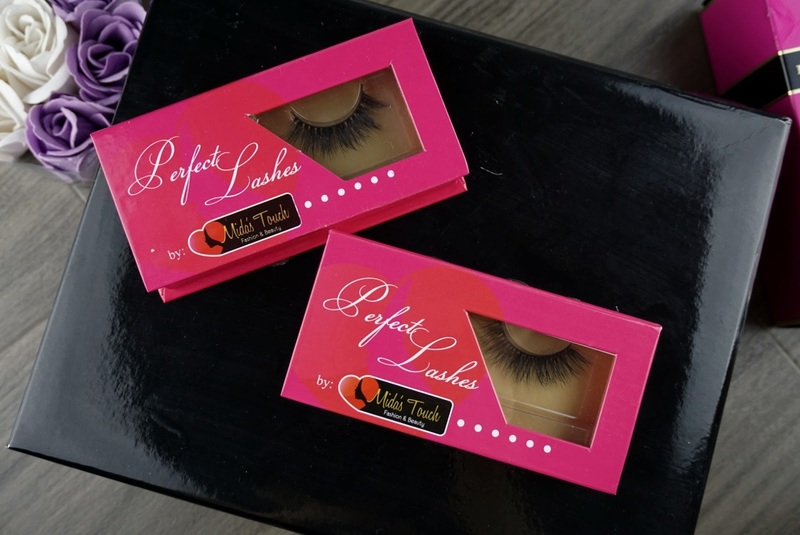 This brand has been created by MidasTouch in order to bring us the best mink lashes available worldwide which I stress are cruelty free. I was sent out two different types of Mink Lashes to test out. I was sent out models DML002 and D006. These particular models retail at £15.00. If you have a look at all the range you will notice these are the most beautifully made and designed. As a company in particular they are very professional and proactive. Delivery was speedy and the item was sent to me the next day. 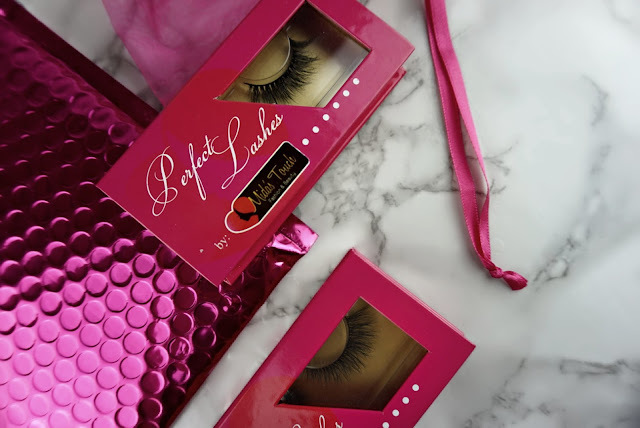 I was very impressed with the packaging and I am not only talking about the packaging which contains the lash set itself but rather even the envelope and little colour coordinated see-through pouch it comes in. Thumbs up for thinking about it all. It also comes with it's own clear glue and a big size one to be honest which will last you through those 25 average usage times. I was highly impressed as I did not expect such a great all rounder product and service. 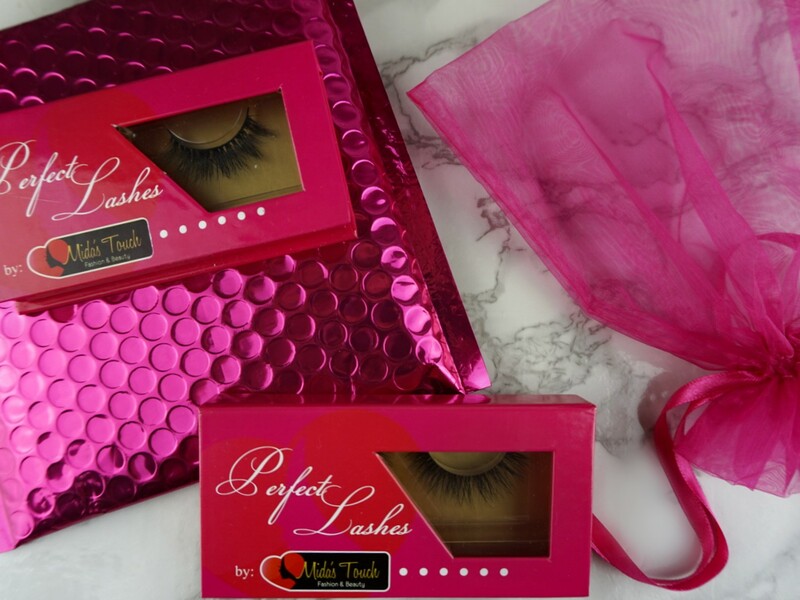 The package which contains the lashes itself is very high in quality and has a magnetic closure too. How nifty. Enough about the packaging I am just so impressed that I couldn't stop rambling about it. Both eyelash types were very easy to apply as they have a beautiful band that improves ease of application. Both bands are very well made, not too thick and not cheap in quality, allowing increase usage compared to other brands. The band is strong and flexible which is exactly what you are looking for when looking for lashes so they can properly attach to the base of your lashes and the band look as discrete as possible. This lash was possibly my favourite out of the two as it has that woven lash composition, that really gives your eye a beautiful flare. They are not as long as the previous model but still long enough to give you an intense eye look. I found that these are also great on smaller eyes and help elevate your overall makeup finishing. This model is very full, wispy and quite a big lash I would generally use this type of model for a more dramatic and intense finished looked. I find that this lash is such a great lash for big eyes. The lash quality is above expectation. Just stunning for both models. DML002 is longer and bigger than D006. They are both very full lashes but the great thing is that the smaller one I can use for more natural looks. They are very fluffy and look extremely high end. The lashes both improved the overall look of the makeup look and just looked flawless from every angle. I did very much enjoy the fact the way they have been constructed, in the sense that they are NOT heavy and look extremely beautiful. You can clearly see these are the secret to a perfect finished eye makeup look. lashes which last you around 5 use times. However, don't be deceived it also depends how you store them, which or how you use glue and probably how much mascara you put on them. This was the look without the inclusion of lashes. This below, is the completed look with the DML002 mink lashes. It is incredible what a beautiful pair of lashes can do to contribute to a perfect eye makeup look. This below shows you clearly the difference in having the D006 mink lashes and not having them. 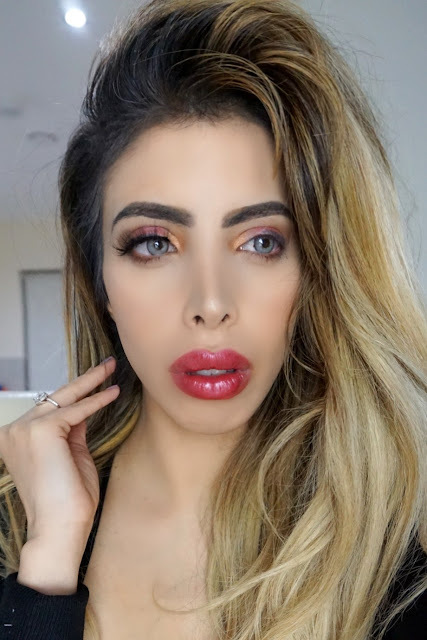 It is incredible how well these lashes tie in the completed look. I am clearly enjoying using MIDAS TOUCH MINK LASHES. The photos speak for themselves, you can't deny they look beautiful nor can you deny they are definitely worth the purchase. I did prefer the D006 as they are smaller as they suit my eye but I am looking forward to keeping the DML002 lashes for a more dramatic finish. If you are subscribed to my YouTube Channel you may have noticed I did use the DML002 lashes in my recent video. I am beyond impressed with product quality and highly recommend it. So here's my latest secret as to how I achieve a flawless eye makeup. What did you think of the lashes? Did you feel they are the secret to a beautiful makeup look? Which of the two is your favourite? I can't remember last I used false eye lashes, but will definitely be giving these a try. You look gorgeous!